I am excited to join with Tommy Mommy and showcase some of the books that my oldest children remember reading when they were young. Hermie was a hit with young children back in 2002 when Max Lucado created him, and he has grown in the hearts of Christian families since. 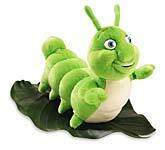 Hermie has been continued for a newer set of children in the re-launch of Hermie this October. There are 2 board books for the youngest children, Little Hermie. For the early reader audience there is a new hardback book based on the original Hermie book. Max Lucado has a way of bringing the message of God’s love to all ages of readers, and I appreciate his love for the youngest of God’s children. 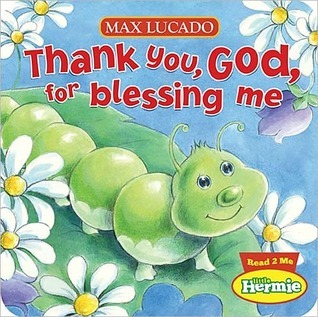 In Thank You God For Blessing Me, Hermie looks around at all that he is thankful for. I have been using this concept with my youngest at bedtime, telling their Lord what things they are thankful for today. Now they can read about Hermie doing the same thing. My 3 year old just loves this book and requests it nightly now! 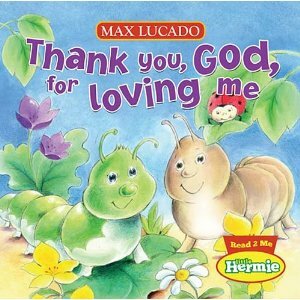 Another adorable book for the youngest listeners, Hermie thanks God for his care and love for him at all times of the day. Told in sing song rhyme style it is delightful to the little ones ears and pleasing to their eyes. 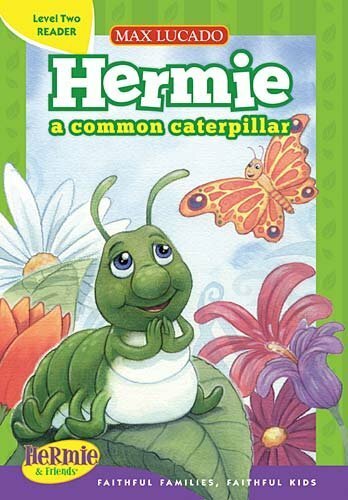 This level 2 reader takes the story of Hermie the Common Caterpillar and puts it into easily worded and short sentences so that the beginner reader can read Hermie all by themselves! Great story line, that will be relevant to all children. Hermie prays to God and is very thankful and grateful for many things, but wonders why God made him so common. We find out at the end of the book that he is not too common at all! My beginner reader loves to read this book to his younger siblings, especially this week as we are learning about bugs and how God created them all. Tommy Nelson has so generously offered a book bundle of Hermie Books for one blessed reader! Tell us how your kids have Grown up with Hermie! Leave your name and email in the comment section to be entered in the drawing. I would love to have you as a GFC follower as well! The giveaway will run from today 8-26 thru Friday 9-16 with a person being chosen by random.org. Sign up and let your friend know, Hermie is Back!! I have not heard of Hermie before. My kids would love him and these books! Oh count me in on the giveaway please! Thanks! Getting ready to start a homeschool course with my 4 yr. old. These would be great additions to get him started reading. What an adorable series! I also have never heard of Hermie before, which is strange because I'm pretty familiar with Max! I haven't heard of Hermie for a long time! My kids would love this beautiful set! I'm following on GFC (Darlene). The kids in my church love the Hermie videos in the church library. I'd love to donate this book to the library for many happy kids to read!